As you start your journey of investing in properties in Palm Harbor, Florida it may feel like you have a lot of options & tasks to deal with alone. Once you find an ideal property it becomes essential that you manage your property properly. The everyday management task & maintenance are issues that often need the advice of a professional. This information should not just come from a professional that comprehend how to deal with a property with care & success, but also someone that is acquainted with the locality and is interested in giving a decent assessment from your property. 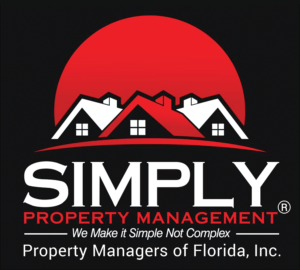 If you want to put your Palm Harbor property into great hands, then there is truly no better choice than Simply Property Management. Our staff knows the area better than anybody else, offering you the experience & insight that you need to get the best value of your investment. Our aim is to take off all the burden of Palm Harbor property management from your shoulder and let you reap all the advantages that you deserve as a landlord. We have seen a significant rise in the Palm Harbor real-estate investment over the last few years, and we are the property management firm that can assist you maximize the return from your investment properties. We help you make sure that your property is not sitting vacant for months and if maintenance or repairs needs to be done, we know how to get the job done at the best price possible. Besides property management in Palm Harbor, FL we also assist those who are selling or buying houses and those who require assistance finding the ideal investment properties in this area. We deliver a complete range of property management solutions customized to you as a homeowner/investor. We have managed hundreds of single family homes, multi family houses, condo units, and large apartments in Palm Harbor & surrounding areas. Using industry leading marketing tools we make sure your property gets the proper exposure and vacancies fill up as quickly as possible. Our industry specific local knowledge helps investors to get the true value of their investment while letting us to handle all the hassle of property management. Nevertheless, when you choose us as your Palm Harbor property management company, you can rest assured that you are going to enjoy the most inclusive property management strategies in your area. Get in touch with us now to see what value we can bring to your investment properties.